In 1946 I received a short course of Judo instruction under the late Mr. Gunji Koizmi at the Budokwai, Lower Grosvenor Place, Victoria London. I had been proposed for membership by Mr. Ernie Deval and Mr. J. Turner who were both Budokwai black belts, sadly I had to decline the offer of membership as I had just started my apprenticeship as an Instrument Maker with a very low basic wage, I just could not afford the fees so I had to regretfully decline the proposal. In 1947 I was residing in North Kensington, London, I had heard of a Japanese Judo teacher a Mr. Matsustaro OTani a Judo 3rd dan teaching in Harlesden London. As his fees were remarkably modest I became a student in his dojo. This same year I was called to serve in the Royal Navy as part of my National Service. In 1948 I trained whenever the opportunity arose. In 1949 I also trained at the South London Judo Society for a brief period. I was now released from my National Service commitment and recommenced training at Mr OTani’s dojo. I now began to travel around London practicing at the various dojo’s that were springing up as Judo became more popular. Notably at Mr Sadlers Y.M.C.A. club at Ealing Elstree Judo Club. 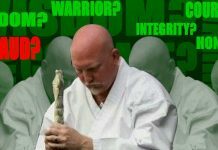 Job’s Judo Club and Evening Institutes in the London area. At Wornington Road evening institute I trained under Mr. Ian Morris 2nd dan. I also joined Osram Judo Club at Hammersmith and trained under Mr. Ted Mossom 3rd dan for a brief period. In 1951 I met Mr. Harry Johnson 3rd dan, Budokwai International and Olympic Games Gold Medalist ( wrestling ) I joined his club at the Swaffield Road evening institute in Battersea London. In 1953 I was proud to take part in the Seymour Hall display and also at the Cardiff Judo display, demonstrating Nage-no-Kata and Kaeshi-no-kata with my teacher Mr OTani. This display was under the auspices of Mr. Chew and Mr. E. Dominy of the South London Judo Society. In 1954 I am awarded Black Belt – 1st dan by Mr. OTani. Mr. Harry Johnson and Mr. A. Morton (2nd dan) and Mr. W. Hampstead (2nd dan). This grading took place at the Jubilee Judo Club in Harlesden London, where I defeated four first kyu’s brought in from other clubs. I then took a “ line up “ of eleven assorted grades and defeated them all in approximately 10 minutes. In 1956 I took part in the great Festival of Judo at the Royal Albert Hall, London, where I had the honor of performing Kaeshi-no-Kata with my teacher Mr. OTani before many very important guests including the UK Japanese Ambassador, but non to me more important than Kenshiro Abbe sensei 8th dan and all Japan Champion. In this same year I was awarded 2nd dan. I also took part in the National Judo Championships at Cossington Street Baths Hall Leicester, where I was involved in demonstrations and assisted Kenshiro Abbe sensei. In 1957 I was now honored to be placed on the panel of the London County Council Instructors and began teaching at Barlby Road , W10 and Battersea Evening Institutes. This year I married and moved to Old Windsor. In a randori practice in London I severely damaged my right knee joint which entailed many weeks off work. This injury effectively ended my competitive Judo career. I now joined the local Windsor Judo Club. In 1959 I heard of an Osteopath named Mr. Mann who was also a Budokwai black belt instructor. After a series of treatment he skilfully managed to get my knee working again. Owing to the nature of the injury it remained weak and sadly contest Judo was now over for me. In 1962 I continued to practice and teach at Mr. OTani’s new dojo at Roundwood Park, London. This same year I was awarded my 3rd dan teaching certificate. I continued to teach and support Mr. Otani for many years. 1977 was a sad time with the death of Mr. OTani and the dissolution of the Roundwood Park Judo Club. 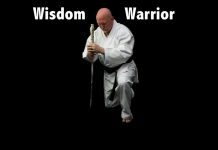 I now continued to practice and teach at the Windsor Judo Club, I again injured my already weak knee in an over-enthusiastic and foolhardy randori. I now decided to concentrate on groundwork and teaching. In 1981 I wrote and had published two articles for a prominent Judo Magazine concerning my long association with the late Mr. OTani. In 1982 I was awarded 4th dan for long service by the President of the British Judo Council. In 1984 I continued to study train and teach at the Windsor Judo Club. In 1985 I was now employed as Judo Instructor in Elective Studies at Langley College, Slough, Berks. In 1985 I was appointed Senior Instructor at the British Judo Council National Course at Bognor Regis. In 1987 I was appointed Senior Instructor at British Judo Council Course, Woolacombe, Devon. This same year I was awarded 5th dan and I decided to retire. 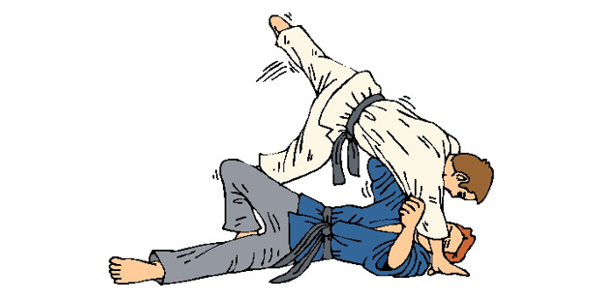 I am still involved with the Windsor Judo Club and follow with interest its progress. Sensei Bill Stopps 5th dan.